Online reservations have closed. Please check the CSM Wine Shop for ticket availability. Oktoberfest isn’t just for beer drinkers! You don’t need to wear Lederhosen to join us for our Oktoberfest Pairing Event, although it’s ok if you do! 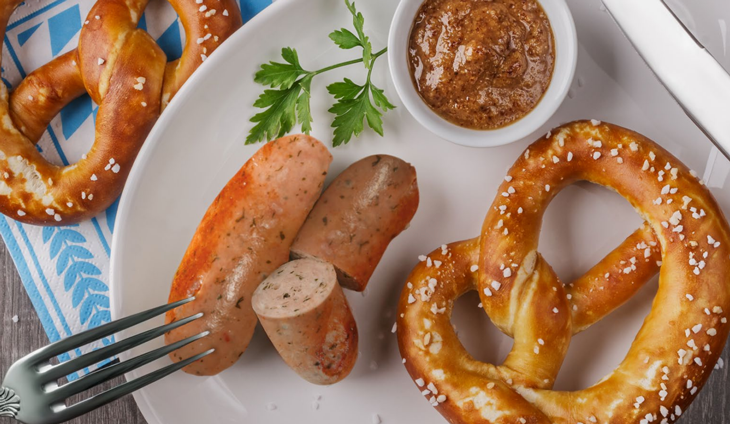 We’ll have delectable Bavarian bites paired with mouthwatering, terroir-driven wines. Join us for this fun event where you’ll enjoy 5 wines paired with 5 sweet and savory bites. Oompah over to the Chateau Banquet Room any time between 12:00pm and 4:00pm, where you’ll receive a wine glass and 5 tokens. Then enjoy visiting all 5 pairing stations, and enjoy the Bavarian specialties our culinary team has prepared with wonderful wines, creating that sublime combination. Join us and you’ll see, Oktoberfest is for wine lovers too!